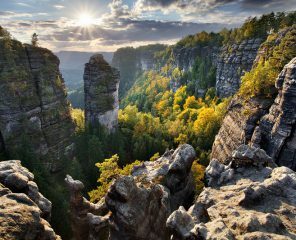 Bohemian Switzerland belongs to the unique natural locations in Europe. The name comes from two Swiss artists – Adrian Zingg and Anton Graff who were astonished by the resemblance of their home country and the northern part of Czech Republic. 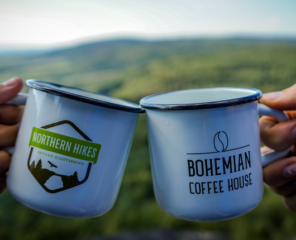 Take a walk in the forests, climb the mountains and enjoy the breathtaking views from the highest peaks of Bohemian Switzerland. 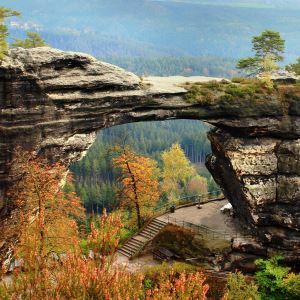 The natural sandstone arch, Pravčická Gate (Pravčická brána) is one of the most popular wonders of Bohemian Switzerland. With its height of 16 meters and 26.5 meters length, this massive bridge is the largest natural bridge in Europe. Yearly it attracts thousands of tourists that would like to explore treasures of nature. Unfortunately, the con of high touristic interest is the erosion of the monument. Therefore, since 1982 the public is no longer allowed to climb and walk up on the bridge. In 1882, due to the decision of Edmund Clary-Aldringen, a hotel was built at Pravčická Gate. Preserving the unique style of the building, the hotel Falcon’s Nest welcomes and serves guests until now. Nearly 10 kilometers east from Pravčická Gate you observe its smaller sister, Small Pravčická Gate (Malá Pravčická brána). It’s accessible all-year-round, with no entrance fee, situated in the beautiful scenery that is perfect for a lovely walk in nature. Thanks to erosion, a motion of material, water activity and other natural processes, a unique complex of rocks were created near the village Tisá at the edge of river Elbe in the northern part of Bohemia. The beauty of nature manifested itself in multiple rock towers, caves or pillars, creating a natural labyrinth. Maybe that is the reason why the creators of iconic movie Chronicles of Narnia chose this location to film snowy scenes. People in the 19th century barely dared to enter these places, and if so, it was mostly only with a guide, as they believed greedy dwarves inhabit the labyrinth. 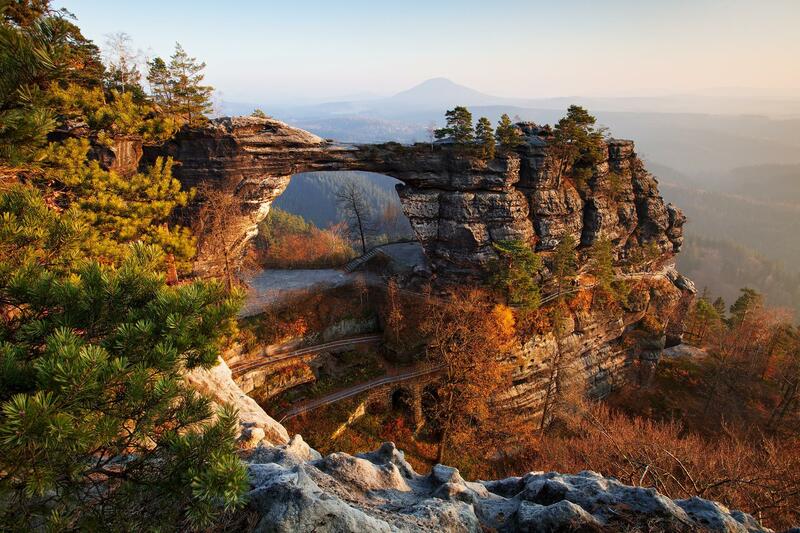 Today, Tisa Walls belong to natural monuments of Bohemian Switzerland and the entrance is for a fee. Check out our tour to Tisa Labyrinth in winter. 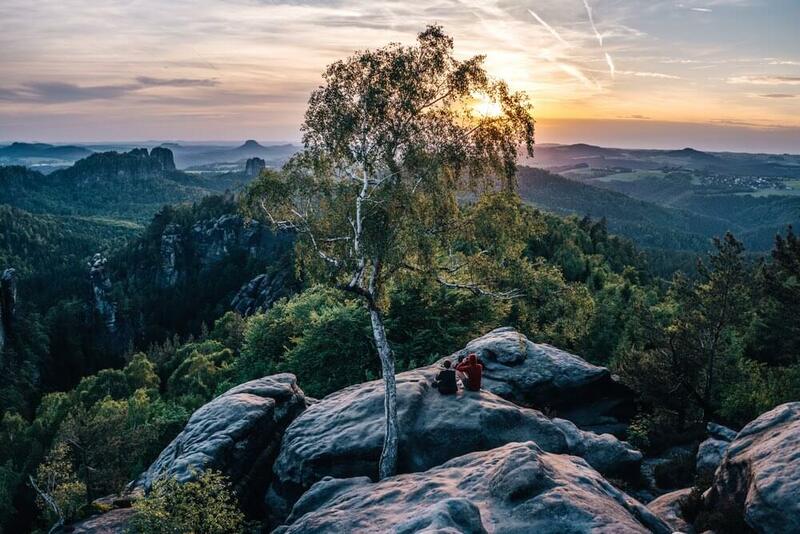 In the German Saxon Switzerland, only 40 kilometers from Dresden, you can find a place with a breathtaking view on one of the unique landscapes in Germany. 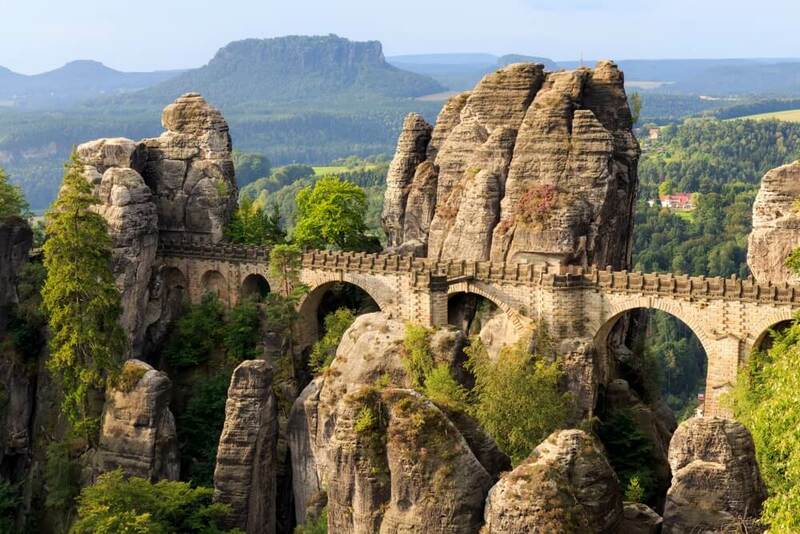 The Bastei Bridge was originally built from wood in 1824 but 30 years later has been replaced by a more solid sandstone bridge. 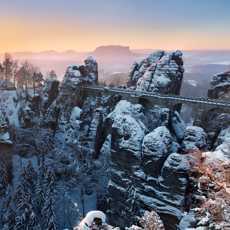 Take a walk through the 194 meters high rocks above the river Elbe and enjoy the unique environment. The bridge is easily accessible by car or public transportation combined with hiking. 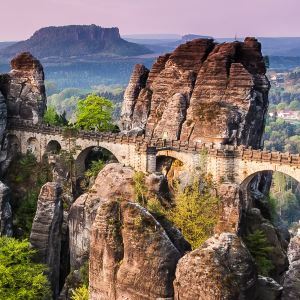 Want to see Bastei Bridge and Pravčická gate in one day? The highest point of the Elbe Sandstone Mountains, Děčínsky Sněžník, is 722.8 meters high. In the past, it was a crucial geodetic point. Therefore, an observation tower was built on the peak in 1864. 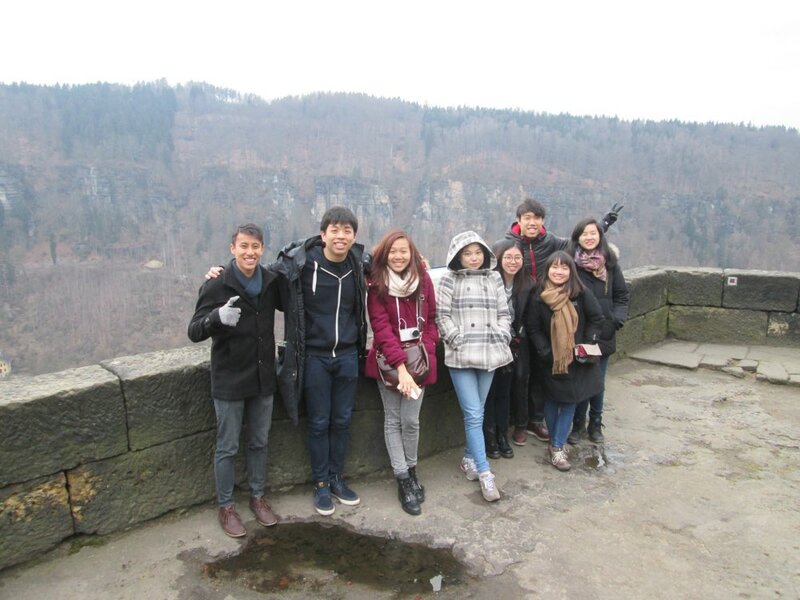 Since then, the stone lookout tower was attracting lots of tourists who came here to enjoy the view on vast forests and mountains of Bohemian Switzerland. In 1865 the local administration decided to build a small hotel next to the tower for their private purpose. Unfortunately, after World War II, the tower and the hotel deteriorated, and it was only in 1992 that it was opened for public again after a reconstruction. 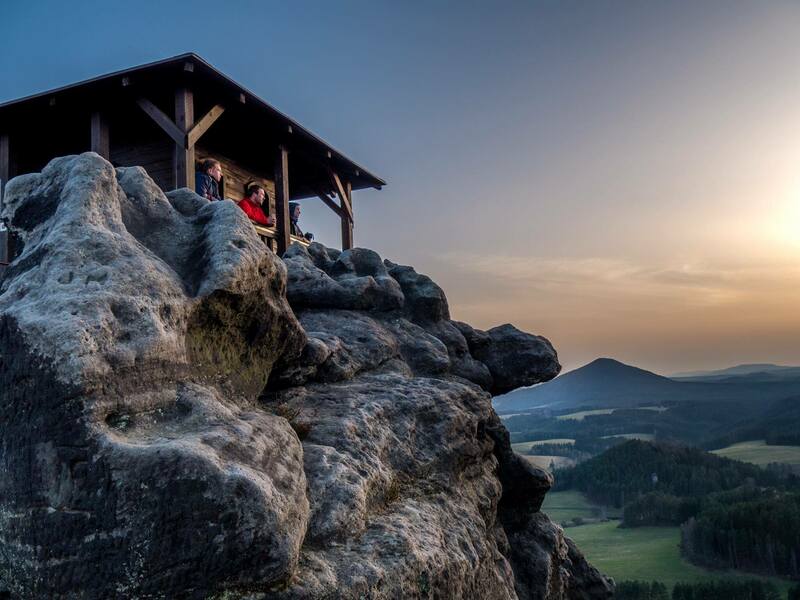 Nowadays, the lookout tower on Děčínsky Sněžník is still a popular tourist point offering a breathtaking view on Bohemian Switzerland, Saxon Switzerland, and even Dresden. An interesting rocky hill named after Princess Marie Kinsky towers among the surrounding hills in the height of 428 m near village Jetřichovice. Thanks to the marvelous view it offers, it has been often visited by many people. In 1856 a small wooden shelter was built on the top of the hill, that served as a lookout tower to warn people about a fire in the forests. In 2005 it was paradoxically damaged by a forest fire. Luckily it was rebuilt later and is now accessible to the public. In the area of village Jetřichovice, another beautiful viewing point is to be found – Vilemínina stěna. With a height of 439 meters, it is the bigger sister of Mariina Skala. 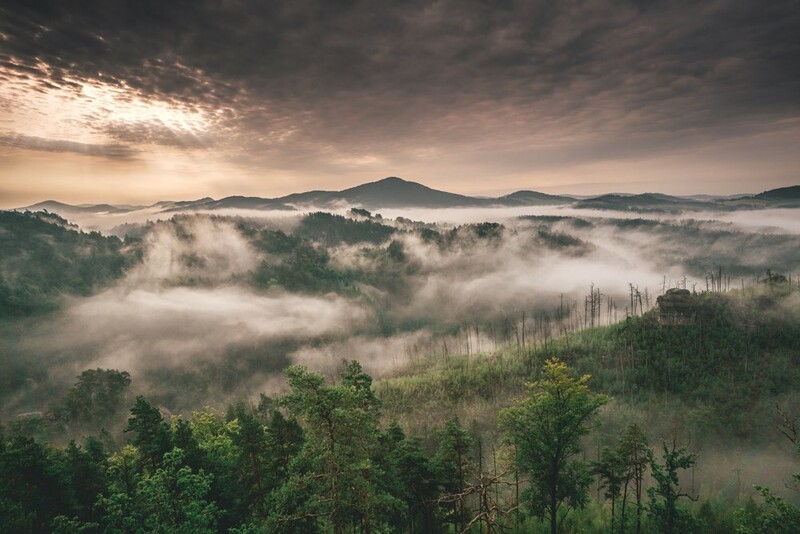 It is the most northern hill out of the three hills that you can visit in Jetřichovice mountains. Last of the viewing points near Jetřichovice is named Rudolph’s Stone (Rudolfův kámen). Originally it was called High Stone, but when visited by Prince Rudolph in 1824, it was renamed, and a wooden shelter was built on its top. 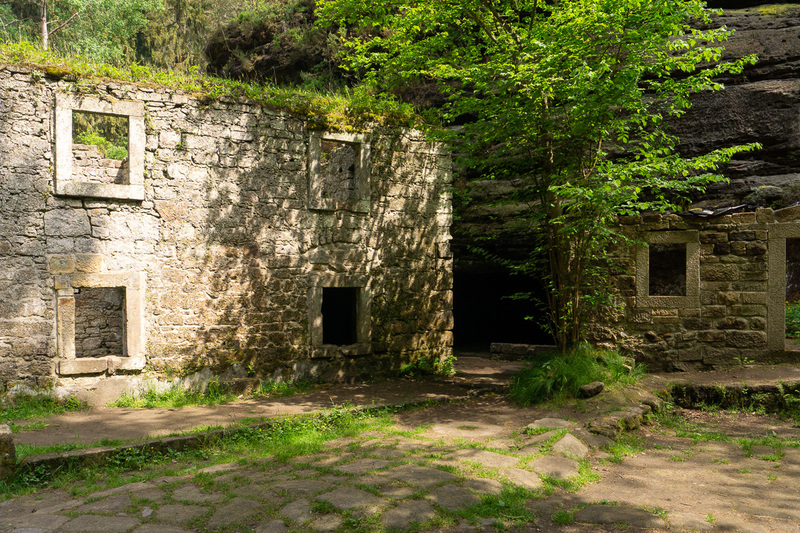 The accommodation is accessible through 170 steps. Rudolfův kámen is a 484 meters high sandstone hill. The Stoličná hora mountain is located north from the town Děčín. Here you can find a viewpoint named Emperor’s view, and the view is truly royal. 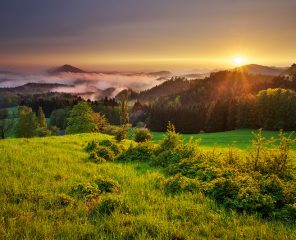 You can see not just the municipality of Děčín but especially enjoy the look at Central Bohemian Uplands – is extremely worth it. 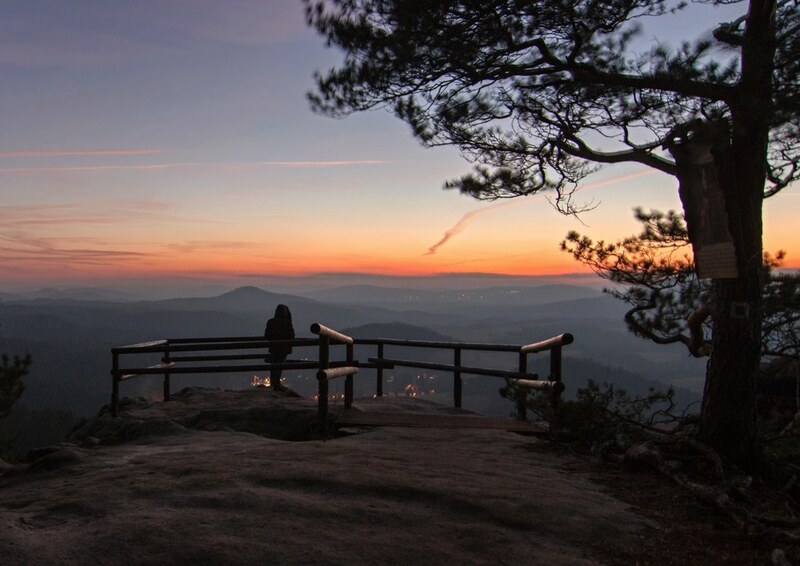 The viewpoint of Belvedere is considered to be the most beautiful and oldest lookout point of Bohemian Switzerland. From this point, you can see the 130 meters deep canyon of river Elbe and German mountains Zirkelstein and Kaiserkrone. It is accessible also by car and to provide better comfort for visitors, a hotel with a unique atmosphere was built here. Castle in the region of Ústí nad Labem was built on hardly accessible sandstone rock. The first mention about the castle dated to the 14th century but it is estimated that the Falkenštejn Castle was built already in the 13th century. It is not known if the castle has been ever conquered, but it has been abandoned since the 15th century. Due to the higher interest of the public, the castle was made accessible for visitors but to reach the castle – it is still a challenge. Šaunštejn Castle was built in 14th century on the rocks as an important point of the trade crossroads. It served not only for business trips between the Czech Republic and Germany but had a function of a guard castle to warn nearby villages of danger approaching. Unfortunately, already in the 15th century it was destructed and became a hideout for bandits and robbers. That’s why it is now known as Robber’s Castle too. The wooden towers of the rock castle deteriorated during centuries, and now only a few rooms and a cistern is preserved. Despite that, visiting Šaunštejn Castle is worth it mainly because of the beautiful view over Bohemian Switzerland but as well high hills of Saxon Switzerland. Where river Kamenica meets river Jetřichovická Bělá, a remains of romantic mill Dolský mlýn is to be found. Built around the year 1515 and now only a few walls keep standing. 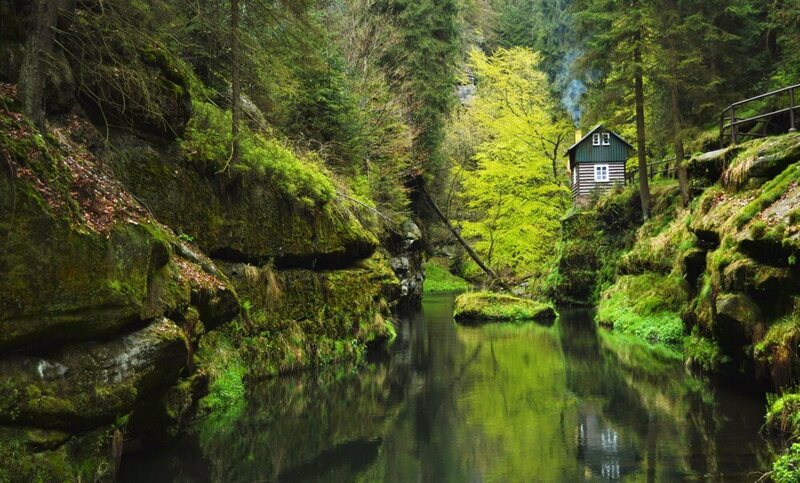 Its magical atmosphere attracted even filmmakers and many famous Czech fairytales were filmed here. Just 500 meters from the mill is a 180 years old 27 meters tall King’s spruce. On the gorges of Kamenice river, Edmund’s Gorge and Wild Gorge, you can take a boat to admire the cliffs surrounding the river that reach up to 150 meters high. During the sail, you can see various plants and many interesting rock formations on the cliffs. If you are looking for a place to relax and enjoy a peaceful walk, you might find the right place in Kyjov Valley – canyons with rocky walls and many attractions. At the end of the trail, you can find a cross that reminds the visitors of the March of death on March 28th, 1945. 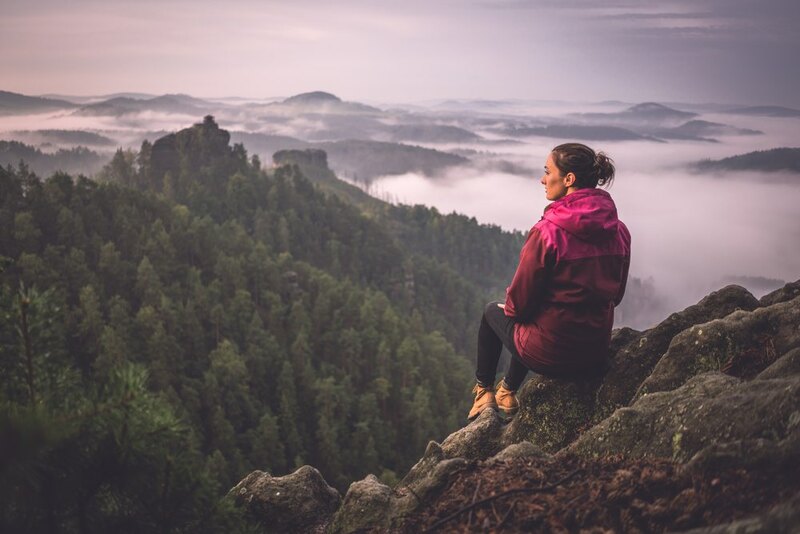 You will not find the best viewpoint or the most comfortable hut there, but what to expect is a romantic walk in the beautiful nature of Bohemian Switzerland. Elbe Canyon is a national nature reservation since 2010 to grant protection of its unique natural heritage. 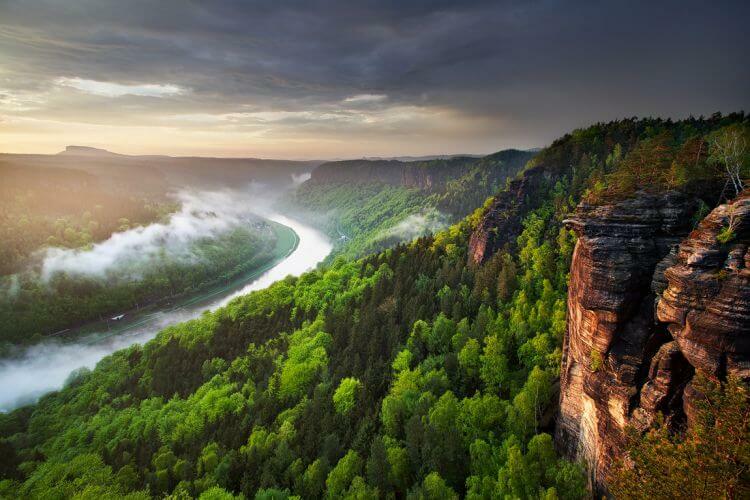 It is the biggest sandstone canyon in Europe, and you find cliffs up to 70 meters high, looking majestically down. 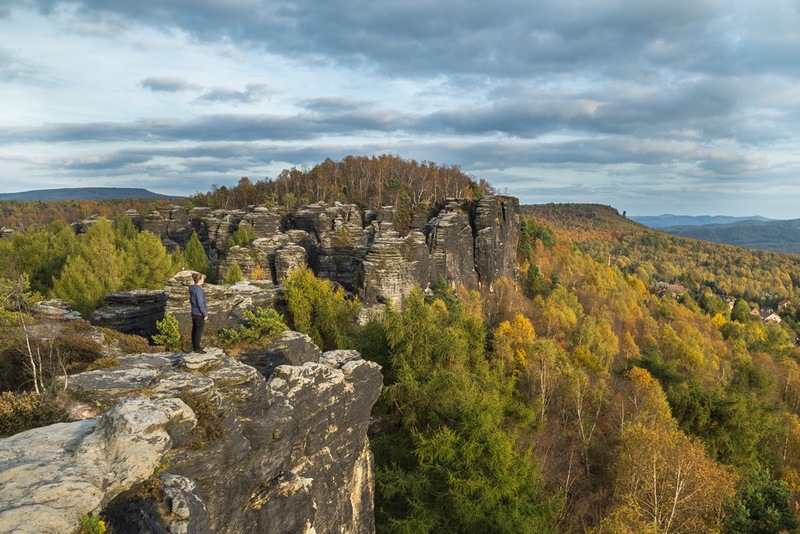 Compared to other attractions in Bohemian Switzerland, the Elbe Canyon is visited much less than other destinations. A valley along the river Chřibská Kamenice offers a comfortable and romantic walk in nature even with children. You can observe beautiful nature in every season, especially in autumn it feels like a fairytale. Also a name of one of the caves took name after a fairy Rusalka. You can see Gorges of river Kamenice and Elbe river during our summer tour in Bohemian Switzerland.